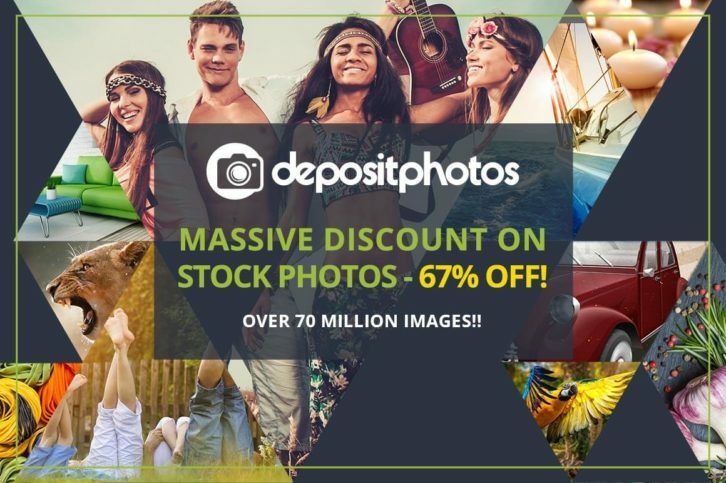 Depositphotos is a platform that brings authors of high-quality licensed stock photos, graphics, vectors and videos together. 75+ million files. 24/7 support in 20 languages. Now, you can nab either 100 or 200 images of your choice for up to 75% off the regular price! Besides a ginormous library to browse, you can select ANY SIZE photo you want, including XXL and XXXL sizes and…. with this deal, you can download the images with NO MONTHLY LIMIT and with NO EXPIRATION DATE! Over 70 million high-quality images! At less than $1 per image (as little as $0.75 each for the 200 image pack option). Do you really need to even think about this one?